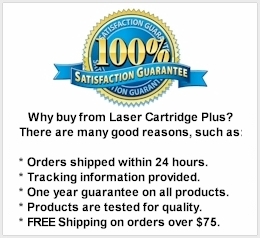 LCP Compatible MICR toner for Lexmark E260 E360 E460 MICR Toner Cartridge - E260A11A MICR, E260A21A MICR - This Lexmark E260 MICR toner is a MICR toner cartridge for printing checks. 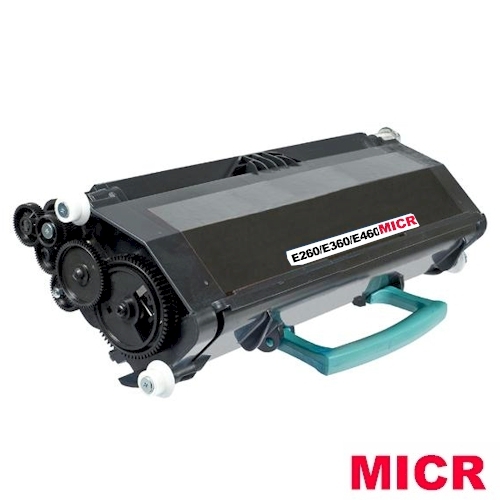 This Lexmark E360 MICR toner is our compatible brand of E260d MICR toner cartridge. Print Color: Black MICR for check printing. Compatible with part numbers: E260A11A, E260A21A, E260X22G, E260A11E, E260A21E, E360H11E, E360H21E, E460X11E, E460X21E, E462U11A MICR toners. - For use to print checks in Lexmark E260D, E260DN, E360D, E360DN, E460DN, E460D, E460DW, E462DTN printers.